Steven J. Kelley, M.S.W., M.A., L.C.S.W. 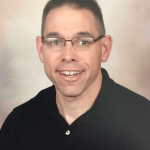 Steve Kelley is a Licensed Clinical Social Worker, and a Licensed School Social Worker. He is a member of the National Association of Social Workers, and the Illinois Association of School Social Workers. Steve has been a social worker since 2004, and has experience assisting teens and adults as they work through a variety of issues including: Depression, Anxiety and Panic Disorder, ADD/ADHD, Bullying, Grief and Loss, Sexual Orientation, and Teen Relationship Issues. Anger Management training has also been a sub-specialty of his.